As soon as you do authentication and receive a valid token, it needs to be passed on the call for getting orders. 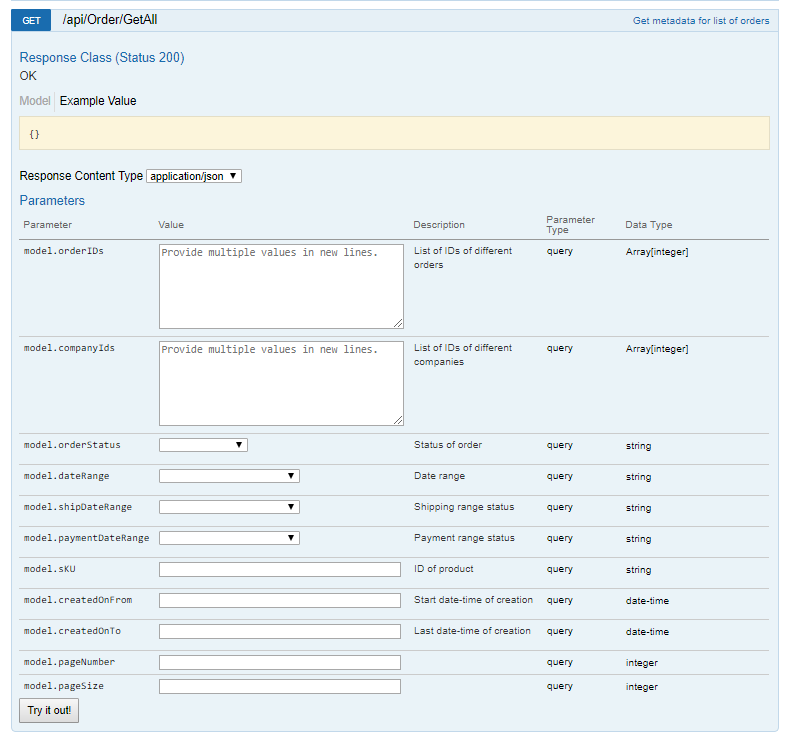 Information about expected request parameters can be found on swagger UI https://tt/api.sellercloud.com/rest/swagger. List of ID of sales orders. Date range. For supported values check swagger. Range of shipping date. For supported values check swagger. Range for payment date. For supported values check swagger.